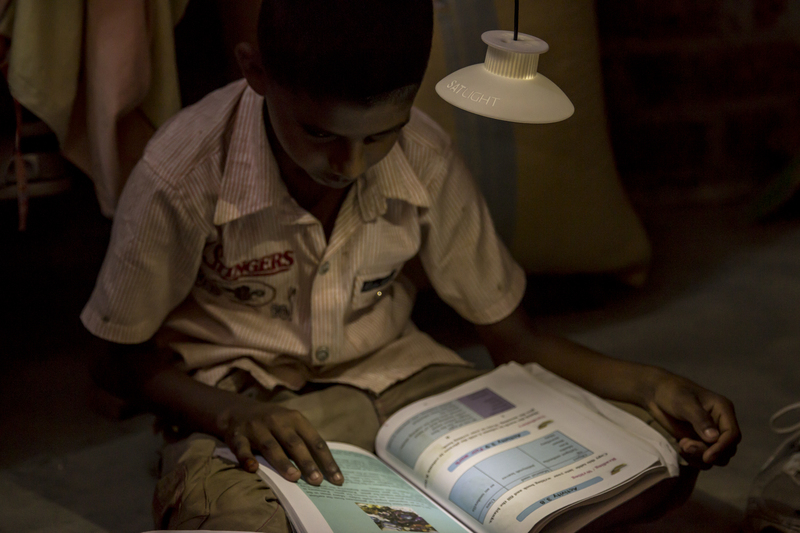 In 2009, Therefore design consultancy was approached by SolarAid with a brief to develop an extremely low-cost solar light for $5. 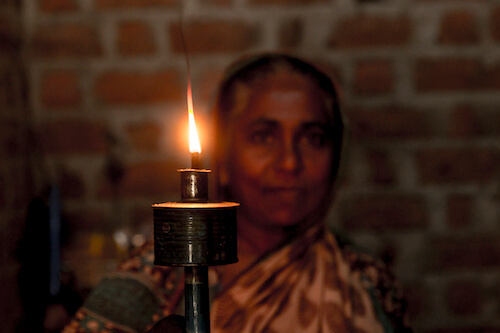 Their goal was to create a sustainable alternative to dangerous, polluting and expensive kerosene lamps, which hundreds of millions of people rely on for lighting. Designers Martin Riddiford and Jim Reeves determined that batteries and photovoltaic panels were too expensive for a $5 solar lantern to be possible. They decided to look beyond solar and battery powered devices for another means of generating electricity. Their search led to the insight that thanks to dramatic improvements in LED technology, it would be possible to create electric light by harnessing the energy potential of gravity. 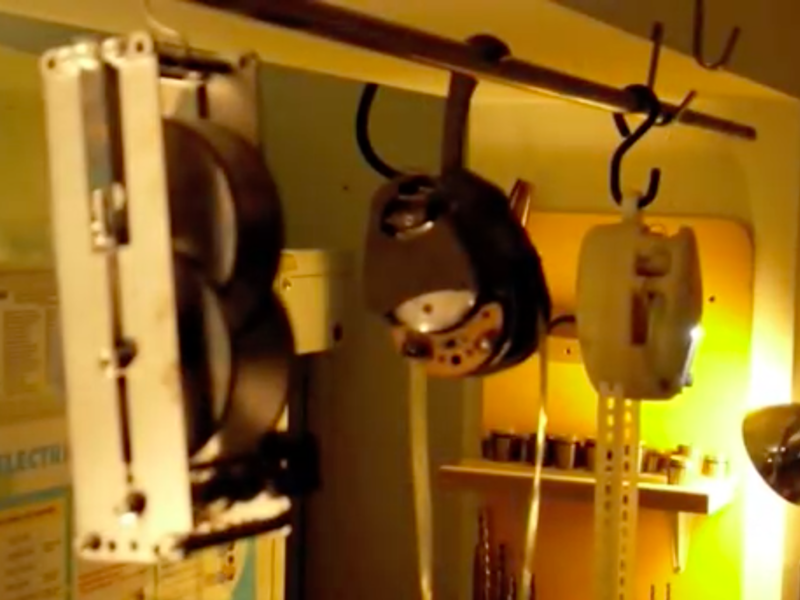 After more than two years of experiments, Jim and Martin had created a working prototype and were ready to test the product in the real world. A highly successful crowdfunding campaign provided the funding necessary for tooling, manufacture and distribution of 'GL01'. More than 6,000 generous supporters contributed just under $400,000. Thanks to our generous supporters, we were able to run field tests of GravityLight in 26 different countries. 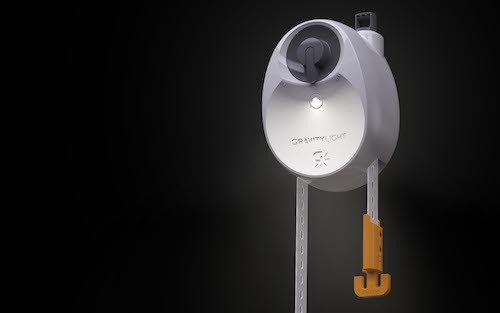 Over 90% of participants said they would use a GravityLight instead of a kerosene lamp. 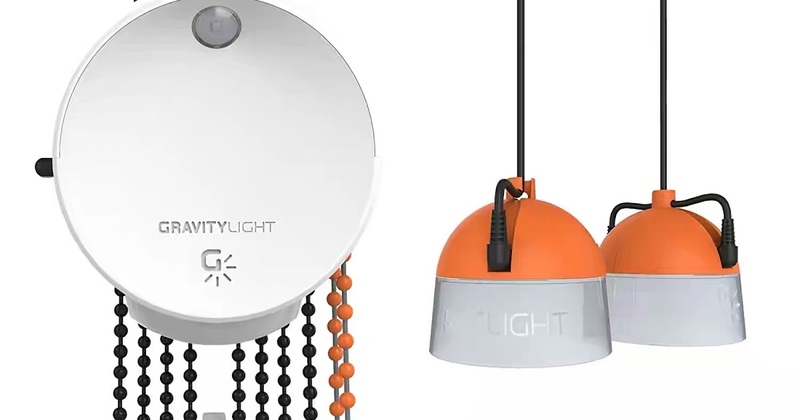 The trial participants also provided invaluable feedback that would be used to improve the design of GravityLight prior to a larger commercial launch. Using the feedback from the trials we designed 'GL02', an improved GravityLight that was easier to use, more robust and which provided brighter light. 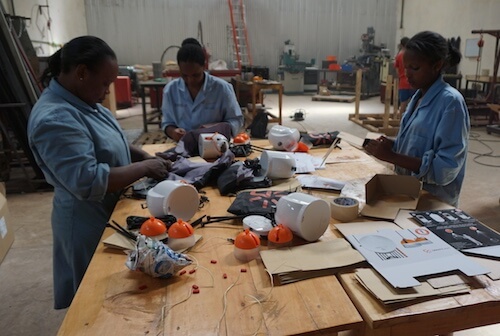 A second crowdfunding campaign raised just over $400,000 from more than 4,000 generous supporters to fund manufacturing and a distribution pilot in Kenya. We opened an assembly line in Kenya and ran a nationwide roadshow to promote the launch of GravityLight in 50 communities across the country. With the support of Comic Relief and the DOEN Foundation, we were able to conduct research into GravityLight's performance, benefits and potential impact. 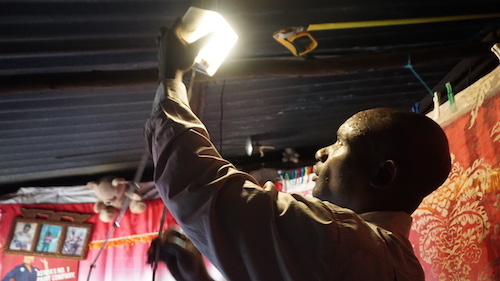 Although GL02 performed well during the pilot in Kenya, users indicated they wanted brighter light for longer periods of time and the ability to charge mobile phones. Delivering these features would require a new approach, one that could provide more than power than we could harness using gravity alone. Our new product nowlight creates instant light and power by efficiently harnessing human effort. 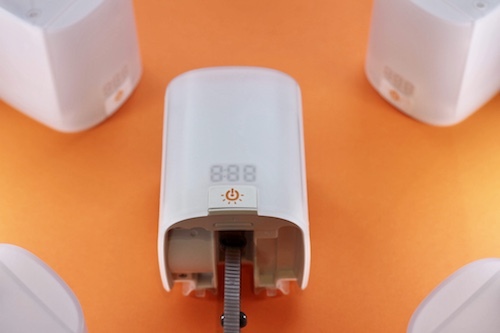 By pulling on a cord for just 1 minute, users can create over 2 hours of light. 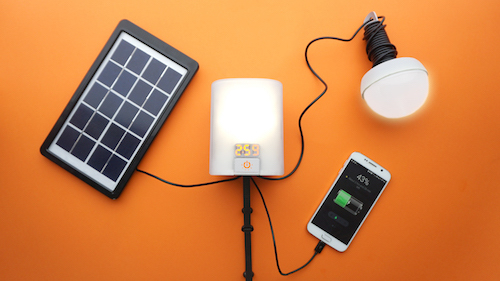 nowlight can also be used to charge devices through its USB ports and supports mains and solar charging for maximum versatility. In 2018 we ran a successful crowdfunding campaign for nowlight and conducted user trials in refugee camps in Uganda and Rwanda in partnership with the Red Cross. nowlight will launch in Summer 2019 and is available for pre-order now on Indiegogo.